Take smooth videos with your DSLR camera. 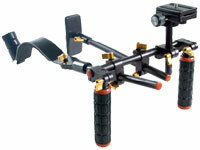 The DLC V2 HD-DSLR Camera Video Rig Shoulder Brace Stabilizer is very solid and sturdy, yet compact and lightweight. 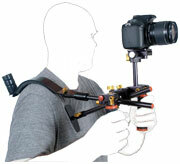 It has been designed to help give you smooth videos with your digital SLR camera or camcorder. 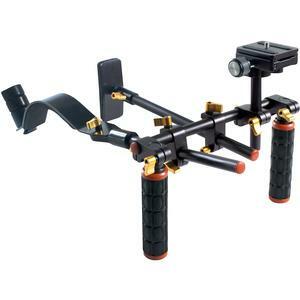 The all-metal unit is fully adjustable. 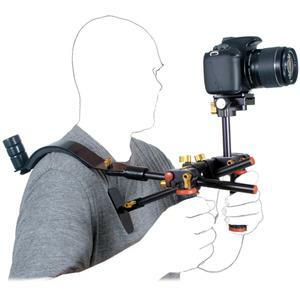 The camera position can be adjusted up or down and left or right to fit both the camera and the comfort of the photographer. 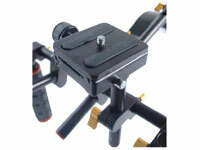 The camera platform also features a sturdy quick release plate to allow you to quickly attach or remove your camera. 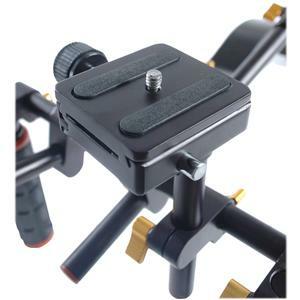 The rig features standard 15mm rods, double grip handles, chest support, shoulder rest with pad, and adjustable counter weights. Optional rods and components are available separately.